John Watson OBE and Gareth (second right) following the presentation. Congratulations to the judging panel at the Scottish Business Awards 2016 for their remarkable vision in choosing a worthy winner as Scottish Entrepreneur of the Year. Barely a week passed since Gareth Williams, CEO and Co-founder of Skyscanner was named as the winner of the Pernod Ricard Entrepreneur of the Year 2016 and it was announced that he has sold the Edinburgh-based business for £1.4 billion! And all this in the presence of Oscar winner Leonardo Di Caprio who brought star quality to Scotland’s most prestigious business occasion in front of over 2000 people at the Edinburgh International Conference Centre. John Watson OBE – last year’s Scottish Entrepreneur of the Year – was privileged and delighted to make the presentation to Gareth – a gifted entrepreneur and who not only came up with the idea but went on to propel the business (in 15 short years no less) to a turnover of £11.2 billion. Huge praise must also go to the dedicated workforce of 780 which contributed greatly to this breathtaking achievement. 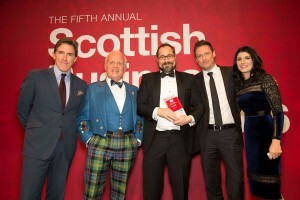 It is a sensational success story from a Scottish firm which is flying high and is a true global player in every sense. 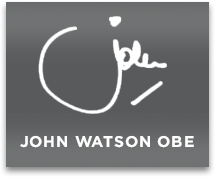 Previous post JOHN WATSON IS KEYNOTE SPEAKER AT THE SCOTTISH FAMILY BUSINESS CONFERENCE 2016 Next post END OF AN ERA!